Experience Thailand’s best scuba diving with Phuket Diving Safaris! 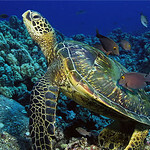 Dive the Similan Islands with us, one of the world’s best scuba diving destinations. Beer and soft drinks, which are available for purchase on board at cheap prices. Find out how to get to our dive shop and all the other info you need to plan your holiday on our Frequently Asked Questions page. Join Phuket Diving Safaris on our spacious luxury liveaboard M/V Dolphin Queen, and cruise the scenic, uninhabited tropical islands of the Similan Marine National Park Islands. The islands are scattered with pristine white sandy beaches, the waters glow aquamarine blues and emerald greens, the corals bustling with marine life. If you’re lucky, you may see manta rays and even whale sharks during your time at the Similans. In between dives, snorkeling or discovering the islands is great fun. Our safari gives you the chance to dive all the main dive sites in the Similan Marine National Park, Koh Bon, Koh Tachai, and Richelieu Rock. Enjoy four days on our liveaboard boat with great diving and new friends – there’s no better way to spend your diving holiday. 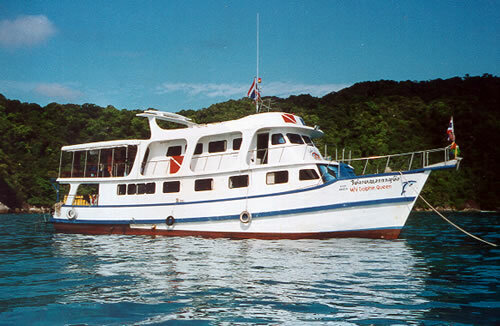 Do the PADI Open Water Diver Course and enjoy our 4 day Similans liveaboard together for only 28,900 Thai Baht! We offer a full range of PADI educational courses, Open Water Diver , Advanced Open Water Diver, Emergency First Response, Rescue Diver and Divemaster. 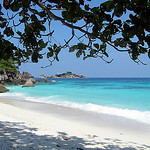 Most of the courses are done in the Similan islands. See our Diving Courses page for more info. PADI Divemaster Course: 3 liveaboards, 65000 Baht! Phuket Diving Safaris take great pride in our safety standards, and in the team who take care of you. All our staff are experienced, fully qualified PADI members and speak a variety of languages between them. We look forward to helping you enjoy wonderful scuba diving adventures and meeting new friends here with Phuket Diving Safaris. Please book your Similans Islands liveaboard with Phuket Diving Safaris as far in advance as possible, especially if you wish to dive during December and January. Send us a message telling us which liveaboard you want to join using the contact form and we’ll do the rest! 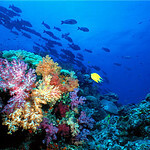 If you have any questions about diving the Similan Islands with us, just send us a message. We look forward to diving with you!